Think about it! If you have an established clientele, nothing should stand in the way. BIAS BEAUTY STUDIOS offers you the opportunity to increase your income. Just bring your clients and tools – we’ll set you up in business. Your leasing process starts by filling out our Lease Application which is handled in strict confidence. A deposit is required to reserve your studio and process your application. We do our best to create a Win-Win situation that is good for both parties for many years to come. And based on our experience, in most cases we do recommend that a potential candidate be established in one of our markets for at least two years. 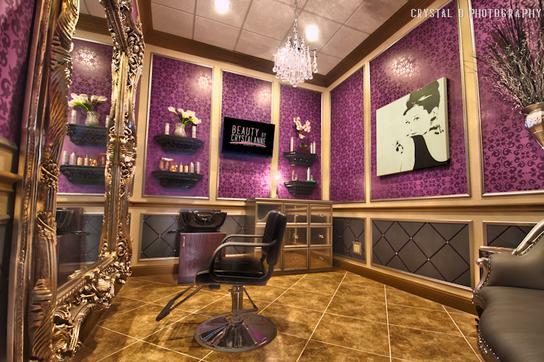 •Studios are leased on a minimum one-year basis to licensed cosmetologists, nail technicians, estheticians and other professionals, etc. •Rental fees are similar to chair rental fees, depending on studio size and availability. Single, double & triple studios are available. •Studios are leased “as is,” but may be personalized and decorated to your taste. •Your name will be included on the BIAS directory and next to your suite door; and you will have a profile section on our website. •You will have access to laundry room and a lounge with vending, refrigerator, microwave oven, sink, cabinetry & seating. •BIAS is responsible for common area maintenance. You are responsible for the maintenance of your studio. •Step 1- Sign a "Studio Rental" Agreement. •Step 2- Payment of One Time Security Deposit . •Step 6 - Sign an Agreement to get local Business Licenses - (Optional) see management for details. That’s It! The process from the time we first meet until you are performing services in your studio typically takes between 1-2 weeks, already licensed and pre-approved studio holders can begin working in these studio almost immediately!